Differences between father and son, especially a teenage son are a most common occurrence in most Indian families, where even grown-up sons and daughters normally reside with their parents. Sons also continue staying in their fathers or joint-family homes, even after they get married and have children. This Upay, which is considered to be very effective in mending the ways or behavior of a wayward and disobedient son should not be performed for minor and trivial differences. The remedy can be performed only if the behavior and attitude of the son are a constant source of threat, worry and anxiety for the harassed father. 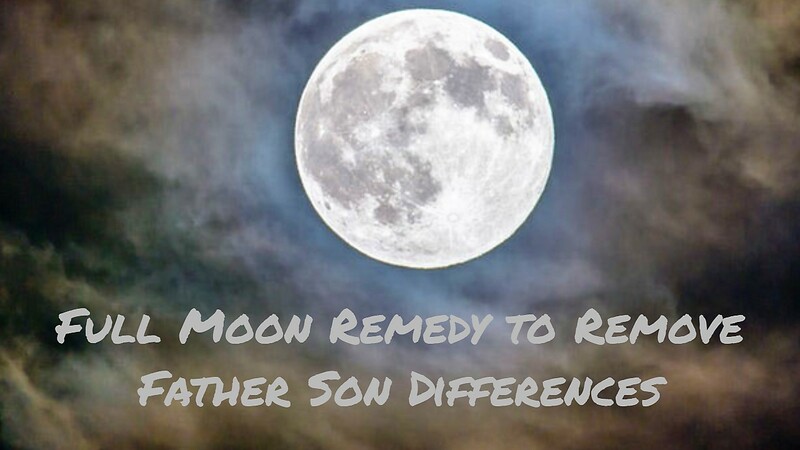 The remedy should be performed for a total of Five Purnima or Full Moon Days in a row, without taking a break, this will make this remedy most effective. The remedy has to be performed secretly by the father on the night of each of the Five Purnima by taking a fistful of Sarson or Mustard Seeds in his right hand and walking clockwise around the bed of his sleeping son five times. Then, the father should go to a flowing water body, like a river, canal or the sea and throw the Mustard Seeds into the flowing water and then go back to his home without glancing back over his shoulder and talking to any person on the way back to his home. It is also most essential for the father to ensure that he does not tell or confide in any person that he is practicing this Upay to rectify the behavior or his wayward or disobedient son. As per the Tantra, if he does so then, the entire effort will be wasted and the remedy will not be successful. Notes- This is a standalone paranormal remedy and there is no Mantra, Yantra, Prayer or Religious Ritual associated with this remedy and it should be practiced only in the manner described in this post. What if it's not possible to walk around the bed. If one corner of the bed is attached to the wall? Bed ko thoda kheech k jagah banalo.